A new release of Adobe Illustrator has a lot of new features that will definitely make your work easier. Now it has become easier to manage text objects, we can automatically generate a corner tile for pattern brush and use bitmap images as brushes. Free Transform Tool has a new widget, which allows you to control the deformation of objects in a more intuitive manner. 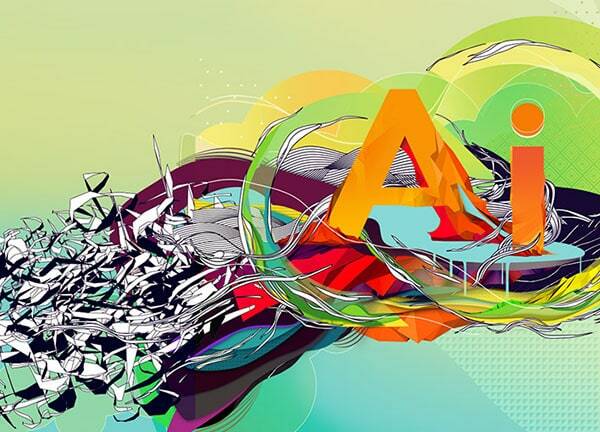 Adobe Illustrator CC has about 15 new features. The most significant ones, in my opinion, will be discussed in this review. Touch Type Tool is designed to control the parameters of a single character of the text object. You can access it in the toolbar or in the Character panel. If we select one character with the help of this tool, you will see a few handles that serve as control elements. 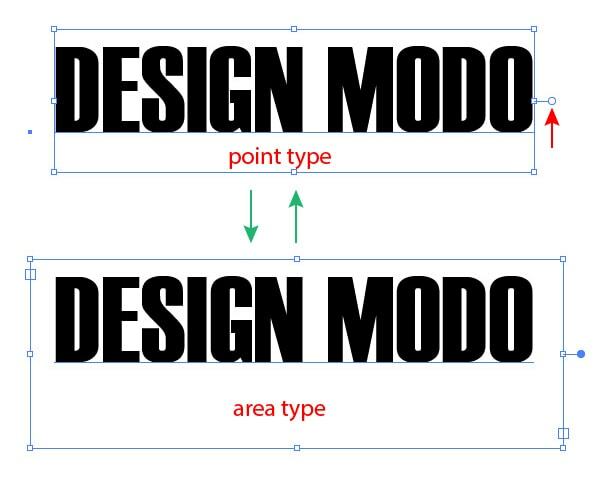 By moving the handles we can move the character in horizontal and vertical direction, change its width and height separately or proportionally, and change the inclination angle of the character. At the same time the rest of the text will adapt to the changes that were done. Of course, all the parameters of the character can be controlled the same as it was before in the Character panel, but the Touch Type Tool allows us to do this in a more intuitive manner. In addition, you will be able to transform the character with your fingers if you are using touch screens like a Wacom Cintiq, for example. After all the manipulations the text remains fully editable. 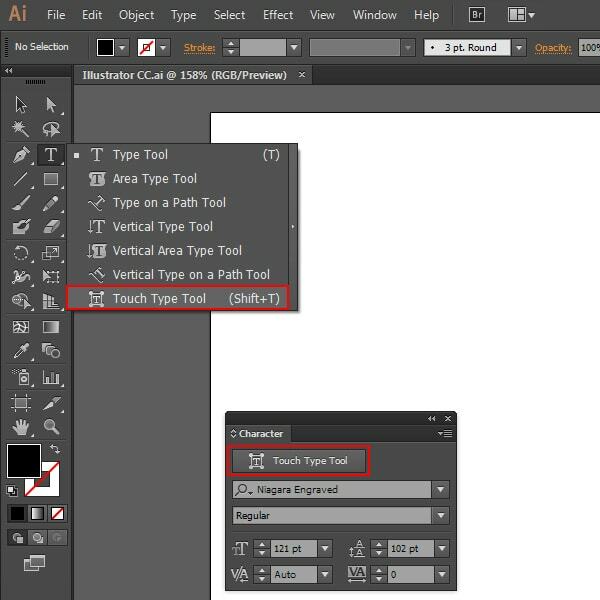 Now we have the opportunity to use raster graphics like JPEG, PNG, TIFF or PSD files to create brushes in Adobe Illustrator. Before using it as a brush, raster image should be embedded into the current document. 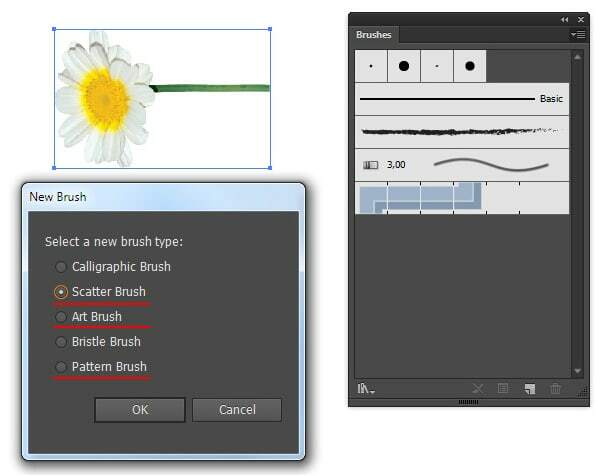 You can save the raster image as Art brushes, Pattern brushes and Scatter brushes. 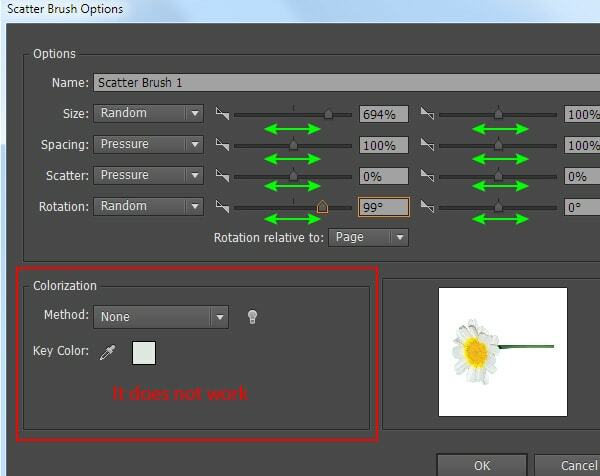 As well as for vector brush, you can manage raster brush parameters in the Brush Options dialog box. However Colorization option will not work in the case of creation of Image brushes. After applying image brush to the path you can adjust the value of its elements by changing the stroke width in the Stroke panel. Of course, the new feature will expand our opportunities, but I personally would like to be able to use objects with gradient fills as brushes. Creating a corner tile for pattern brush in Adobe Illustrator has always been not an easy task. Fortunately, new application release has a feature that allows you to automatically generate a corner tile. 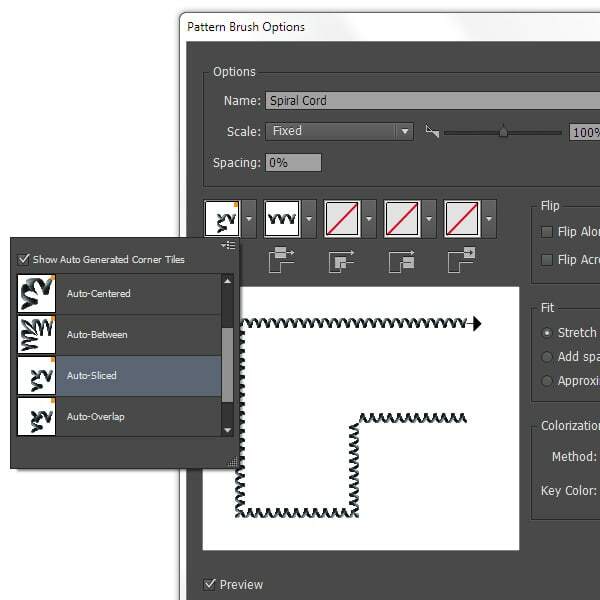 You can choose one of four types of corner tiles in the popup menu in the Pattern Brush Options dialog box. 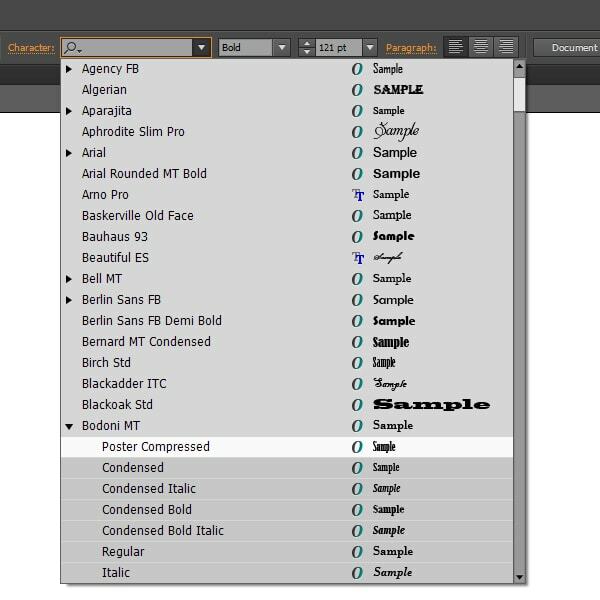 Illustrator CC has an advanced filter in the Control and Character panels to find a suitable font. The search is performed by the style, font family, or any other part of a font name. We can see a preview of fonts, their types, and can also open the list of styles, such as bold, italic and so on for the selected font. 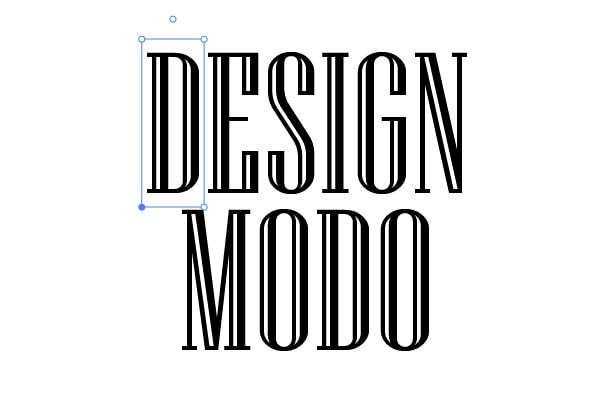 Undoubtedly, the new feature will speed up the work on font selection, which many designers will describe as tedious. This feature gives us the ability to import multiple images at the same time and paste them into the document at the right places. To do this, go to File > Place … and select the images you would like to paste, and then click the Place button. 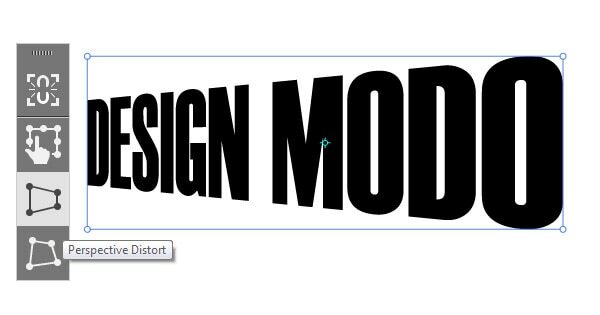 Now we have the pointer like in InDesign, and we are able to drag (or just click) and place images where we want on the page. 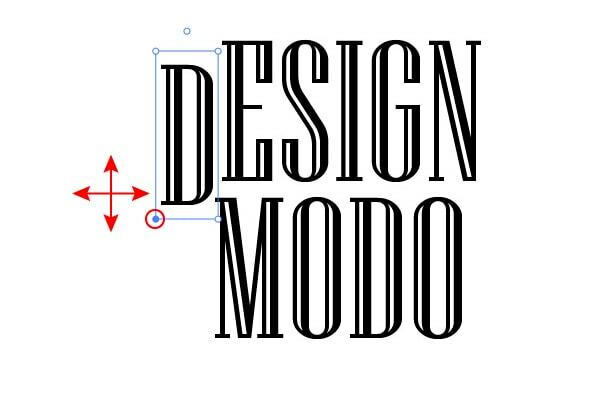 I think this feature will be useful for anyone who uses illustrator for layout. This feature allows you to export vector graphics into CSS. 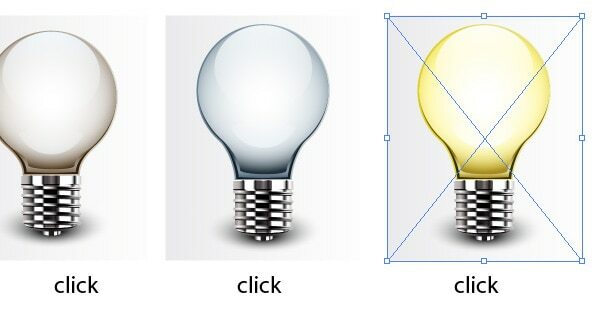 Select the elements, CSS of which you want to generate. Now open the CSS Properties panel (Window > CSS Properties), then press the Generate CSS button. As you can see, CSS of the selected items appears in the panel. Now all you have to do is to copy the code and paste into the web page. 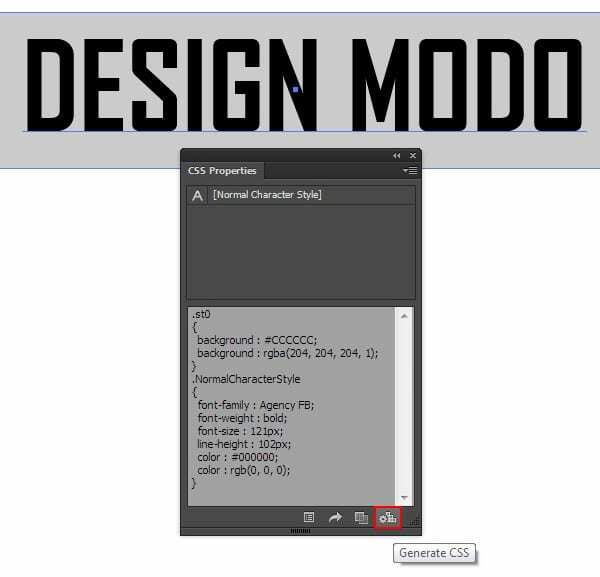 This is how you can generate CSS not only of the individual elements, but of the whole page if you create a web design in Illustrator CC. 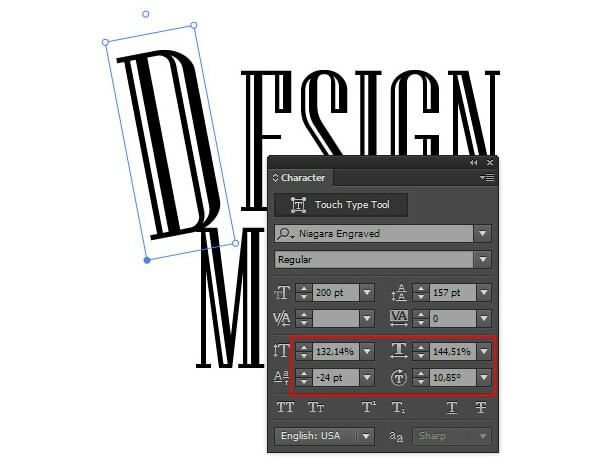 Editable Text in Adobe Illustrator can be presented as area type and point type. Now we are able to switch between them by double-clicking on the marker to the right of bounding box. This marker becomes active, if you take the Selection Tool (V). Up till now the use of Free Transform Tool has been very uncomfortable. We had to follow a sequence of actions when handling this tool. Now we have the opportunity to transform objects in a more intuitive manner. After you select the Free Transform Tool, there appears a new widget, in which we can choose a type of transformation between the perspective distortion, free distortion, and constrained. Constrained is basically the same thing as if you were holding down the Shift key while making objects larger or smaller. 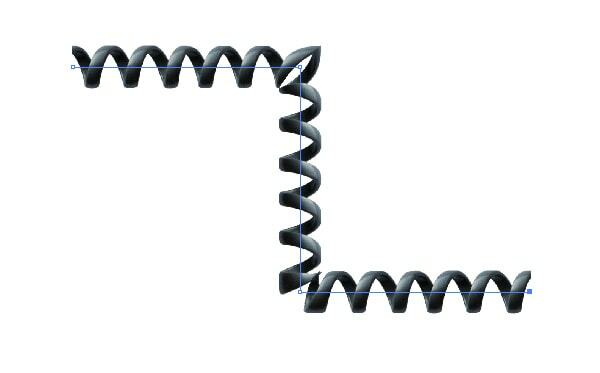 Deformation control is done by moving the markers on the bounding box. 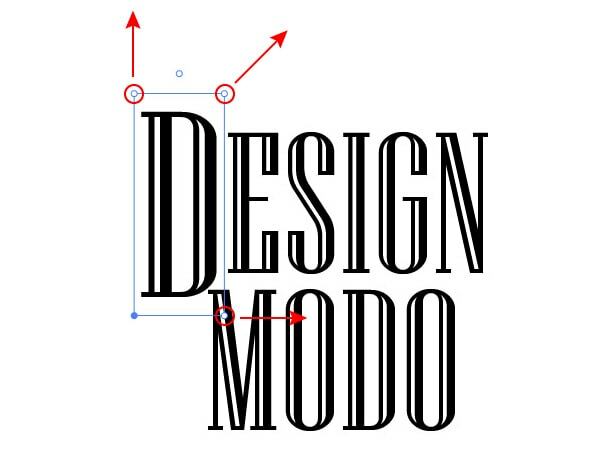 Now we do not need to use a modifier Command / Ctrl while transforming objects. 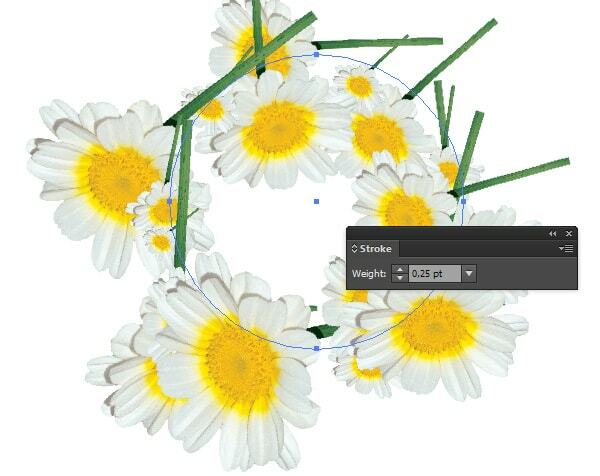 You can find a complete list of new features on the Adobe Illustrator / Features page. Very nice overview of the new features. Thanks! i’m very impress with CSS extraction feature. Images in brushes was awesome, helpful to increase creativity. 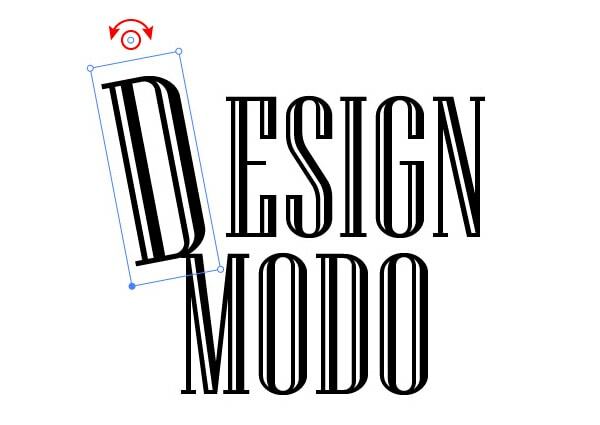 I’m very excited about how Adobe is keen to help web designers! Things are looking really good for us, can’t wait for Brackets! 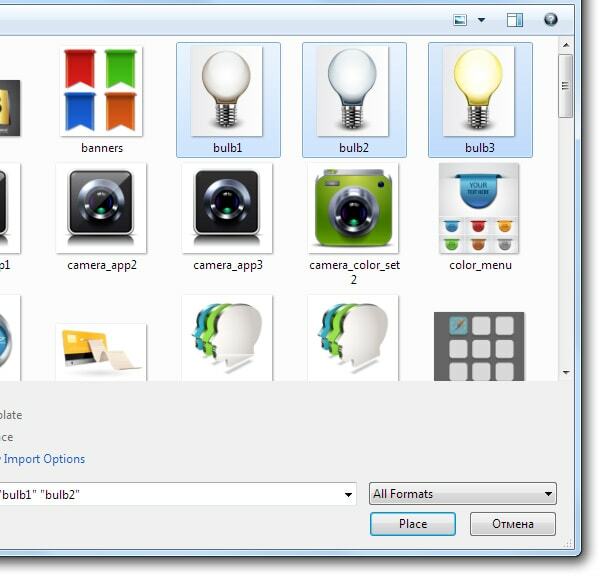 Any way to convert multiple objects to symbols? For example I have an autocad Masterplan with 50 trees on it and I want to bring those tree blocks/symbols into illustrator/photoshop and convert to a more graphic symbol all at once while still retaining the connectivity between the symbols such that if at a later date I edit one in ill/ps they all update?